Cuba improves relations with Church Jump to media player The past year has seen a marked improvement in relations between the Church and the state in communist-run Cuba. 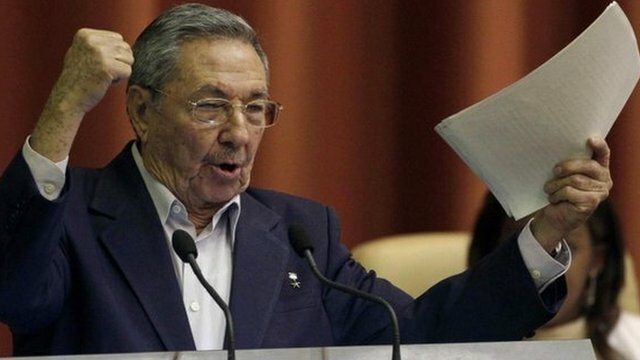 Castro asks Cubans to back reforms Jump to media player The president of Cuba, Raul Castro, has warned that the island's revolution is at stake if his proposed economic reforms are not adopted. The past year has seen a marked improvement in relations between the Church and the state in communist-run Cuba. The authorities are increasingly turning to the Church for help on social and other issues in recognition of the size and influence of organised religion in the country. The BBC's Havana correspondent Michael Voss reports.